Domaine L’Ancienne École is a wonderful place to make delicious wine. 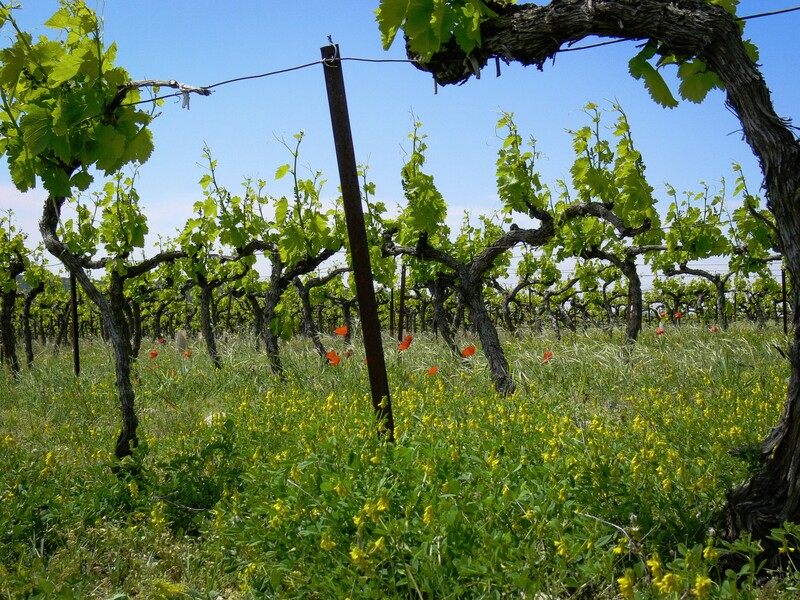 Its location in the North Eastern corner of Provence means that it benefits from hot dry summers, but the altitude (about 400m) and proximity to the mountains means that the summer nights are cooler and our wines have the freshness and acidity which can be missing in some Southern wines. The cool nights also give our red wines a super inky dark colour. 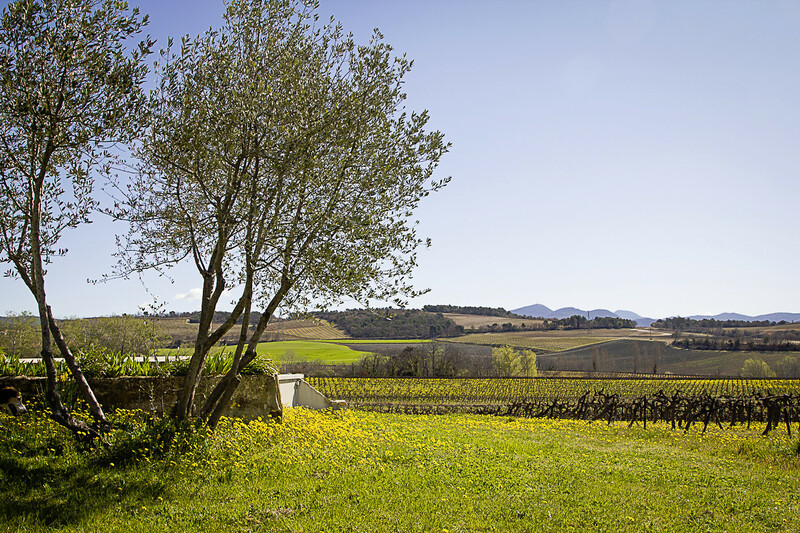 Our 13 hectares of vines are a mixture of Syrah and Grenache Noire. We have a further three hectares of oak woods and scrub which act as nature breaks to provide a habitat for beneficial insects and other wildlife. Our soils are a mix of clay and limestone with some very stony patches. The soils in our Vinsobres vineyards have a high proportion of red sand. 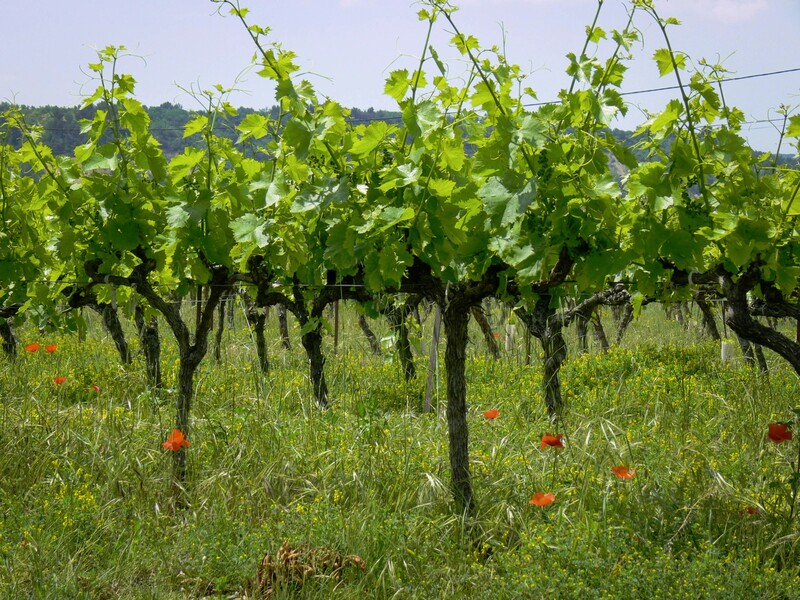 We work this privileged terroir organically and encourage biodiversity by allowing wild flowers and plants to flourish and provide a habitat for beneficial insects and other wildlife. 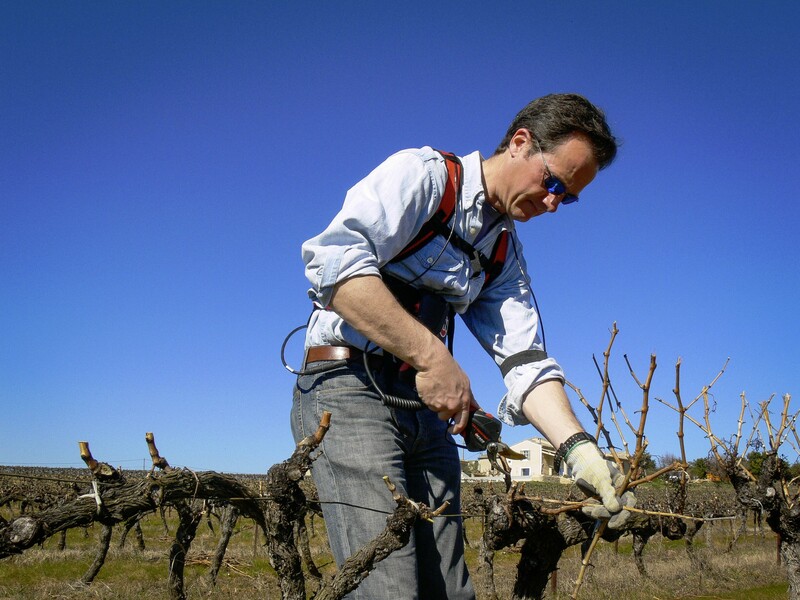 This allows us to reduce any chemical treatments of the vines to an absolute minimum. In the winter we feed the vines with organic compost and the vine prunings are mulched back into the soil.